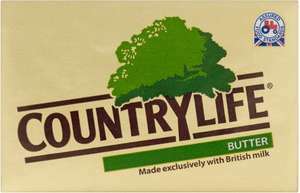 Good butter, and a good price for it, but why buy Country Life when Aldi's butter is made in the same dairy, by the same producers and is absolutely identical in every respect. Only the label is different. And the price, which is 85p all the time. Check the label codes if you don't believe me.